Q: What is the obligation of a Western, democratic government to protect individual freedoms in light of a realistic terrorist threat? Are the producers of South Park right to forfeit their freedom of expression in the interests of protecting their employees? Are the governments of Europe right to ban burqas in the interest of fostering a more open society? [A:] Your question is about different cultural norms in a shrinking world. Western culture makes freedom of expression nearly a religious value. It protects the right to say anything, no matter how insensitive or scandalous. Everyone and everything can be insulted. Many non-Western cultures - not just Muslim - balance freedom of expression with respect for elders, traditions and modesty. The idea of respect and honor to elders is deeply ingrained in their psyches. When I was a boy in Malaysia, in our play we knew we could insult each other freely. That was a game. But we could never insult each other's parents. Do that, and we were in for a serious fight. For Muslims, respect for the Prophet Muhammad is much more sacred than respect for elders. 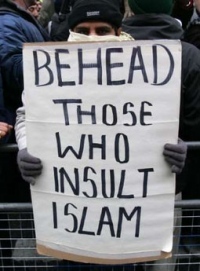 In fact, Muslims would not insult Jesus or Moses because they were prophets of God and demand respect. The same is true on the issue of the burqa, which covers the entire body and face, leaving just a slit for the eyes. In the Western world now, the right to wear almost anything has become a symbol of freedom. It is an expression of women's equality. In the Muslim world, men and women dress so they are not provocative to one another. But it is important to note that Islam does not require the burqa, and even bans it on occasion. Muslim women performing their pilgrimage to Mecca, known as the Hajj, are not allowed to hide their faces. The burqa is a custom of some - but certainly not all -- Muslim cultures. The spirit of the Muslim law is about modesty. So what is the role of government? Freedom of expression is the law in the United States. It is something that the government must uphold. But the people who create this insulting material about the Prophet Muhammad should not be naïve. They are digging deeply at the cultural values of huge numbers of people, many of whom now live as law-abiding citizens of the United States. In this enlightened age, would the producers of South Park insult the values of African Americans? As to burqas, it is the cultural norm in Belgium and France for women to reveal their faces. It is a cultural norm in Saudi Arabia that they do not. If Muslims support the right of the Saudi government to require Western women in Saudi Arabia to wear abayas that cover their bodies and heads (but not their faces), then Muslims must support the right of the Belgian and French governments to ban the burqa in Belgium and France. Can we be upset in these times of heightened national security that the Belgians and French want to know who is walking around on their streets? And in these times when sensitivity about religion and respect are at a boil, cannot the arbiters of Western media show a little restraint? Imam Feisal Abdul Rauf is chairman of the Cordoba Initiative, an independent, non-partisan and multi-national project that seeks to use religion to improve Muslim-West relations. 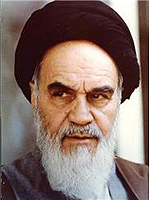 (www.cordobainitiative.org) He is the author of "What's Right with Islam is What's Right With America." In my view, this man is more dangerous than all the spokesmen of CAIR put together. 911 Mosque Imam Feisal Abdul Rauf Blames Christians: "The US and the West must acknowledge the harm they have done to Muslims before terrorism can end"
"RESPECT FOR ELDERS, TRADITION, AND MODESTY"? Would that be as in "tribal elders", you pompous savage, the sort of "traditional government" still employed by backwards Third World hellholes? NO, I CAN'T SHOW ANY RESTRAINT, YOU DISSEMBLING WOULD-BE TYRANT. Those who fall for such arguments are putting the noose around their necks. No government has the right to force women to wear clothing dictated by some "cultural" tradition any more than they have the right to refrain from prosecuting those who mutiliate little girls in accord with the same "cultural" savageries. Over on JW I did a little wishful thinking about the ever-so-slick Mr. Rauf and it bears repeating here: My ideal response to his pontificating would involve tar, feathers, a short trip via pole from the "Cordoba" site down to the Battery, a one-way ticket on the SI ferry and, if they manage to dock the thing properly which didn't quite work out today, a sharp left at St. George and keep walking until he runs out of dry land. And yes he is an especially dangerous taqiyya peddler and as such needs to be called out and exposed. One interesting and important question, I wish someone would have the guts to ask this guy is why should we care so much in the first place? Why should we show such respect for the values of people who clearly do not respect our values? So what, if other cultures balance freedom of speech with other things? Some cultures like these Aztecs balanced your right to live with the need to please and make sacrifices to the gods. If you don't have a problem with people within our own borders, or even outside our own borders, killing people for even the slightest criticism of their beliefs, I have a problem with you. Tell me why I shouldn't. The good news is that anyone who takes the time to think about what Faisal Rauf is saying, may well be troubled by it, even if the know nothing of taqiyya. He is clearly making excuses for people who murder innocents for having opinions they don't like. He's making excuses for people who threatened to murder, and in some cases, murdered innocent people for creating harmless cartoons of Muhammad. That won't fly with anyone who truly values freedom of expression. Unfortunately I don't know how many people in the free world, really value freedom of expression. First protest will be on May 29th, the anniversary of the fall of Constantinople. Pam & Robert will have the details. Sooooo looking forward to this. Yeah, his smooth way of articulating ideas, to make it sound as if he agrees with our ideas at the same time as outright rejecting them, reminds me of Tariq Ramadan. I tried "debating" Rauf at the WaPo site (On Faith). He simply ignored what I had to say and refused to respond. I believe that I questioned him on the concept of abrogation of verses in the Koran. Rauf can stonewall like you wouldn't believe, and, as Pastorius has pointed out, is much like Tariq Ramadan. One difference between the two: Raul has managed to garner a lot of respect. Hell, he has regularly spoken at the Council on Foreign Relations. It will be tough to out Rauf. As I said in the post, he's dangerous. Reminds me of the cobra in "Rikki Tikki Tavi." You F****N' Takiya - Hudna-Tahidiya MORON !! Poison the M/F - Now! POCONO MOUNTAINS: NEW HAVEN FOR TERRORISTS?